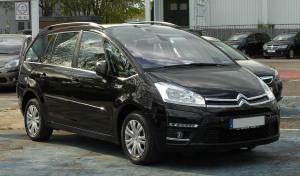 The Citroen Grand C4 Picasso is the UK's fastest selling used car, according to new figures. Auto Trader calculated how long on average different makes and models of used car sit on the forecourts of car dealerships across the UK and found that the Picasso takes just 15 days to sell. The Ford C-Max and the Ford Focus completed to the top three based on March's data, with an average selling time of 17 days and 18 days respectively. Market insights such as these are important for helping car dealers small and large alike cater their stock to what car buyers are after. However, it is always important for businesses to bear in mind that drastic changes to the volume or type of stock they deal with could render their road risks insurance or combined motor trade insurance policy inadequate, so this insurance must be reviewed on a regular basis. The study by Auto Trader also examined the correlation between pricing to market and speed of sale. It found that on average the top 10 fastest-selling cars were 98.8 per cent aligned with the company's recommended retail price. The Audi TT and Nissan Qashqai made up the rest of the five fastest selling used cars, each taking an average of 20 days on the forecourt before being snapped up.